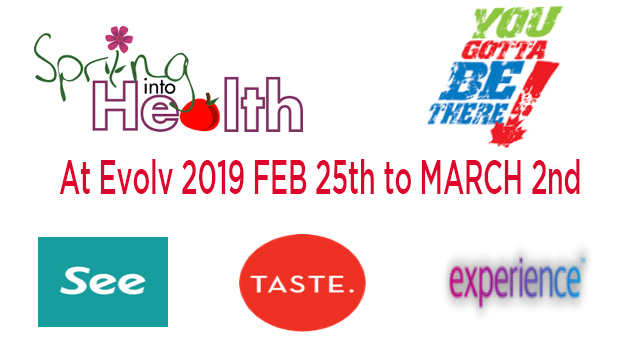 We are set for our Spring Into Health Week from February 25th to March 2nd 2019. View our full programme of events below. We hope to see you then! Rolfing Therapy with Mary for 40 mins- Only €25. Call (053) 923 6009 to book. Hypnotherapy with Michael for 40 mins – Only €25. Call (053) 923 6009 to book. Deep Tissue Massage with Janet for 40 mins – Only €25. Call (053) 923 6009 to book. Tarot Readings with Marie for 40 minutes – only €25. Call (053) 923 6009 to book. Facials with Josephine – Only €10. Call (053) 923 6009 to book. 2 for 1 Offer! Allergy Test & Nutritional Consultation Only €50. Call (053) 923 6009 to book. Free Consultation – Kangen Water. Call (053) 923 6009 to book. Buy any diffuser & get 2 essential oils FREE! FREE Consultation – CBD Oil. Call (053) 923 6009 to book. Raw Local Honey – Come & Taste the Difference! Soul Readings with Grainne for 40 mins – Only €25. Call (053) 923 6009 to book. Hot Stone massage with Janet for 40 mins – Only €25. Call (053) 923 6009 to book. Heart Check with Jenny – Only €20 SAVE €10! Call (053) 923 6009 to book. Sinus Treatment with Janet for 40 mins – Only €25. Call (053) 923 6009 to book. Reiki Session with Bernie for 40 mins – Only €25. Call (053) 923 6009 to book. €10 off Source of life Gold & Gold Tablet’s 90’s! Eye Health Test – Only €10! Call (053) 923 6009 to book. 50% off Mag 365 Range! FREE Reverse Osmosis Consultation. Call (053) 923 6009 to book. Taste Healthy Food from Cypress! Kinesiology with Niamh for 40 mins – Only €25. Call (053) 923 6009 to book. Ear Candling Only €10 – SAVE €20. Call (053) 923 6009 to book. Cholestorol Testing – Only €10. Call (053) 923 6009 to book. 50% off – Full Range of Eskimo, Zerochol, True Products & LargeBraggs Cider Vinegar! Wild Nutrition – Buy 1 Supplement & Get Magnesium FREE! 50% Off Joint Products & Fish Oils – Don’t Miss Out! You can see we’ve lots on offer for Spring into Health Week from February 25th to March 2nd 2019 – so don’t miss out. We look forward to seeing you! Booking is essential for all treatments as appointments fill up fast. Call us on (053) 923 6009, email hello@evolv.ie or drop in store to book an appointment. We would love to meet you! Click here to download our full programme of events for our Spring Into Health Week.